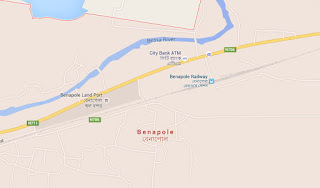 By Bangladesh Media; A man was killed in a gun battle with police in Baropota area of Jessore’s Putkhali border early on Thursday. Ilias Mridha, 32, was an arms trader and sustained bullet injuries while fleeing from a police van, said police. He was the son of Suruj Mollah of Karchandrapur village in Rajbari Sadar upazila. 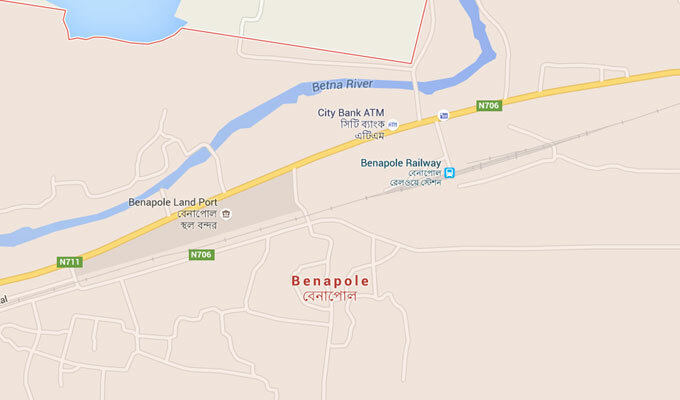 of Benapole Port Police Station, said police detained Ilias on Tuesday afternoon, when he was about to buy arms at Benapole port area. “On Wednesday noon, police were transporting him to a Jessore court. But the vehicle overturned in Kagajpukur area and Ilias, who was handcuffed, escaped. Three police officials were injured in the accident,” he said. Police launched a manhunt to capture Ilias in Benapole and Sarsha border areas after he escaped. “Terrorists fired at a police team that was heading for Putkhali border around 02:00am on Thursday. Police also fired back and Ilias, who was shot, died on the scene. Ilias’ associates left a motorcycle and two guns before fleeing,” said OC Apurba. The body was recovered and sent to Jessore Medical College Hospital, where the injured policemen were also taken for treatment.